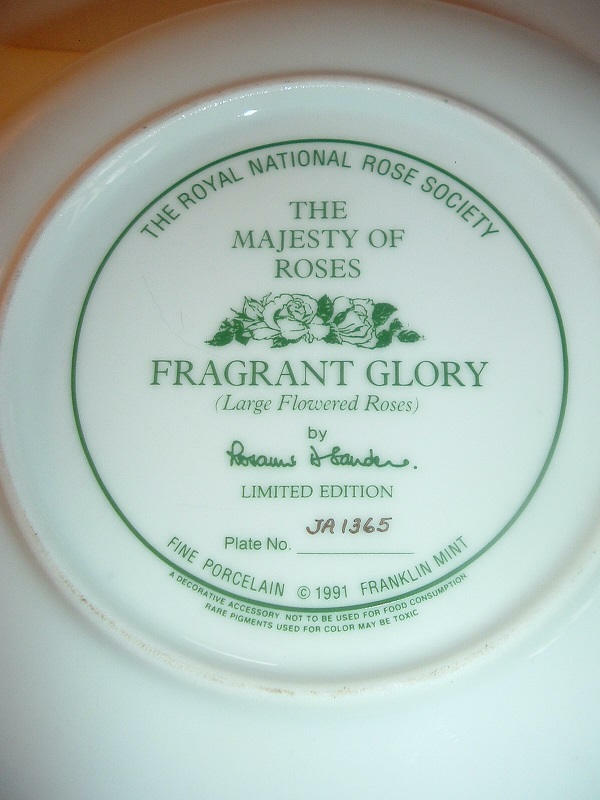 This 1991 Franklin Mint Majesty of Roses Fragrant Glory plate measures approx. 8 1/8" across. It is excellent with no chips, no cracks, and no wear or scratching. 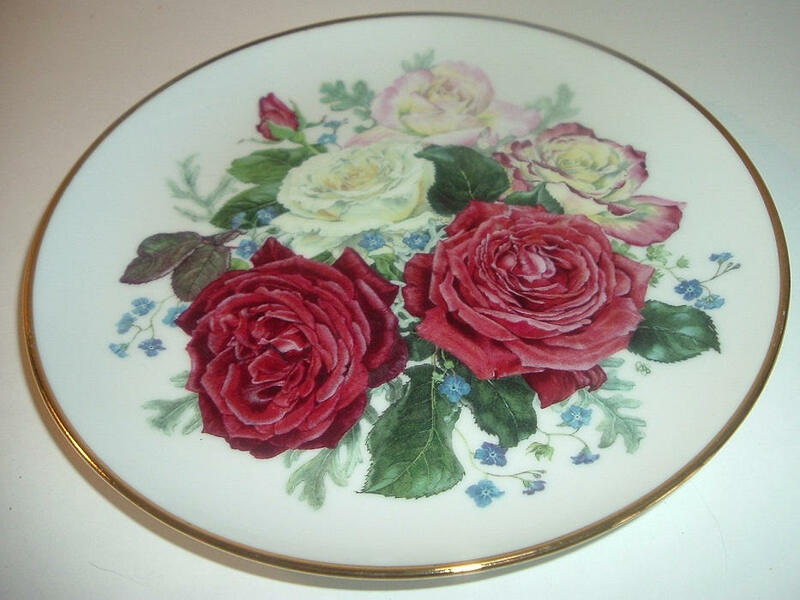 No box or paperwork with this one -- plate only. I gladly combine shipping.